The Americana Music Association unveiled an additional 30+ artists to its 16th annual AmericanaFest lineup this week. Known for its “spirit of eclecticism” (New York Times) and community, the festival will offer more than 170 official showcases across more than a dozen Music City venues including newly announced performances by Glen Hansard, Jewel, Hot Rize featuring Red Knuckles and the Trailblazers, Jay Farrar (performing songs from Son Volt’s “Trace”), Buddy Miller & Marc Ribot, JD McPherson, Parker Millsap, Joel Rafael, Nellie Clay, Madisen Ward & The Mama Bear and the Watkins Family Hour. 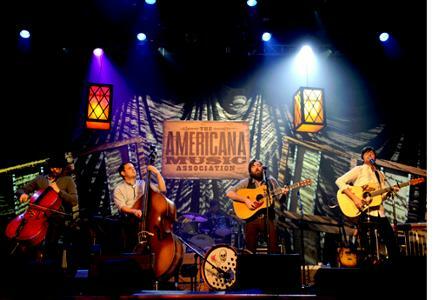 Nashville, TN -- The Americana Music Association is excited to announce that registrations for the 2013 Festival & Conference, slated for September 18-22, 2013, are on sale now at the Super Early Bird rates of $250 for members and $350 for non members. Nashville, TN -- The Americana Music Association announced today that it will be auctioning off tickets and the opportunity to meet some of the world’s most beloved artists during the Americana Meet 'n Greet Series. Americana Honors recipient and multi Grammy® winner Alison Krauss is the first artist to donate the experience to the Association. Event slated for Wednesday, September 12th through Saturday, September 15th, at many premiere venues in Nashville, Tennessee. 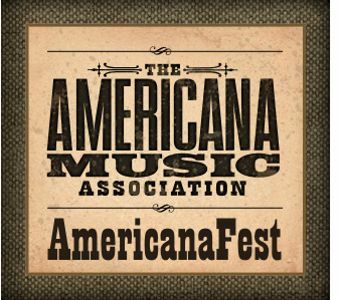 To all artists looking to apply for a showcase at the Americana Music Festival; great news! Submissions are now open! Register now for the 13th Annual Americana Music Festival & Conference! Dates are set for September 12th – September 15th 2012 in Nashville, TN. Follow us on twitter or like us on Facebook and be part of what the NY Times calls "the coolest music scene today." Described by Southern Living Magazine as Nashville's "Best Music Festival," the Americana Music Association is offering, for a limited time, a SUPER early bird registration rate, available at $250 for AMA members and $350 for non-members. Offer Expires January 31st!